Ibiza is the ideal place to learn Spanish and possibly the most beautiful island in the Mediterranean. After your classes and before the sun goes down, there is so much to do in Ibiza: It offers 54 of the most beautiful sandy beaches within 15-20 minutes travel time. Small quiet beaches, long white beaches alive with people and relaxed beach bars and hidden bays you can discover day after day. The nature here is incredibly beautiful. 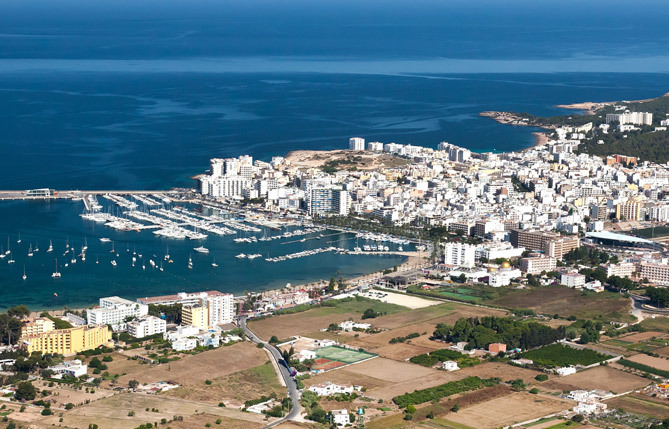 Ibiza Town is the island’s capital and with around 50,000 inhabitants it is also the largest town in Ibiza. It claims legendary status for its beauty and colourful nightlife. Whether you’ve come here for the clubbing or a lazy family holiday, Ibiza Town’s cultural heritage usually comes as a complete surprise. Nobody talks about the fortified town that rises to a dizzy peak on the sunbleached cliffs above the Mediterranean Sea. Regular visitors and locals are used to it. However, in 1999, Ibiza Town’s historic centre became an Unesco world heritage site, and ever since then more and more travelers have been discovering its antiquities for themselves. So whether you come to enjoy the sun and mild climate, to discover the day and nightlife, the beaches, the nature or the gastronomy, you will have it all here during your language course. This beautiful former village of fishermen and farmers has become the touristic hotspot of the island. With only around 16,500 inhabitants during the pre-season months of May and June, and the later months of September and October, it’s perfect for couples to enjoy the new promenade, the safe, shallow waters of the bay and the fantastic beaches, which are just a short ferry ride away. This small town of only 8,000 inhabitants is known for its quiet atmosphere. Its beautiful seafront promenade is right in the city centre. It runs the length of the wide, curved beach, adorned with palm trees, miniature gardens and a large fountain facing the sea. Here you will also find the only river in the Balearics running into the sea. A pretty, peaceful river-walk meanders up to the Roman bridge which has now been carefully restored. Midway, a footbridge spanning the river gives onto another pretty, paved walkway leading to the little beach of Cala de S’Alga in the neighborhood of Siesta with its small-village atmosphere. The Island of Ibiza is a mirror of the Hispanic society, as its thriving economy attracts people from all over Spain and Latin America. In Ibiza the main language is Spanish with all its different accents: Andalusian, Northern Spanish and the different Latin American accents. The world famous nightlife is located just outside Ibiza Town on a beach called Playa d’en Bossa, during the summer months in San Antonio and in some of the biggest clubs in the world, which are some 7 km outside Ibiza Town in the countryside so as to guarantee a low noise level in the city. 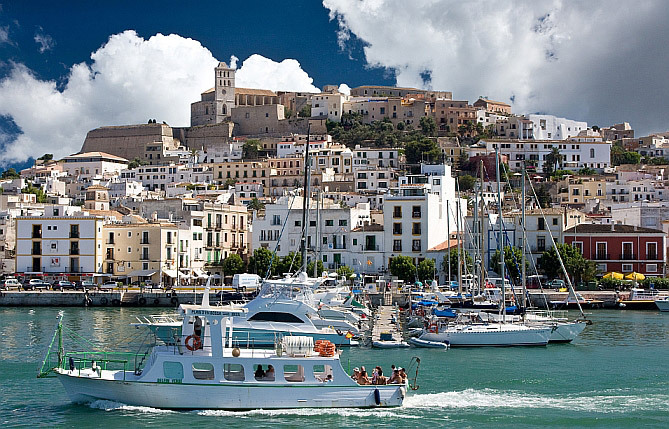 As a result, Ibiza Town maintains its unique Mediterranean and mainly Spanish atmosphere within the city and its beautiful port. 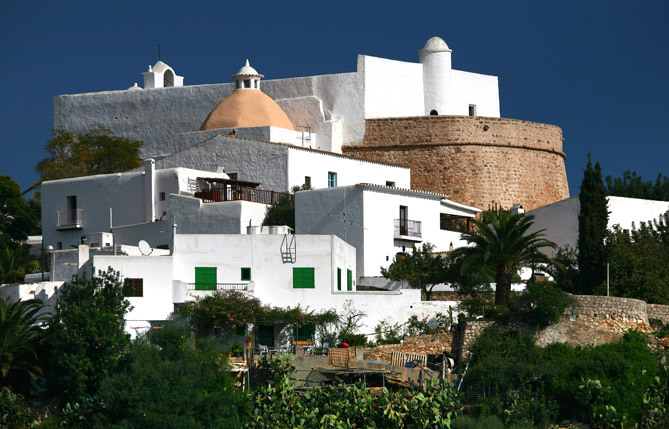 Ibiza is a very welcoming and peaceful place, attracting many visitors during the summer. And although the image of Ibiza is that of a party island, it never actually gets too crowded. From the last weekend of May until the first half of October, Ibiza offers you a unique climate, unrivaled beach experiences and a spectacular nightlife, famous the world over. 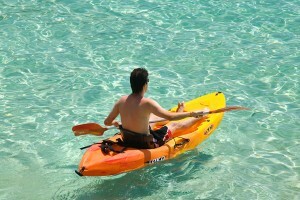 From the end of October until the end of May, the island is a tranquil and harmonious oasis of great weather. It tends to be around 20 degrees Celsius during the day and gets down to 5 degrees Celsius at night towards the end of December. 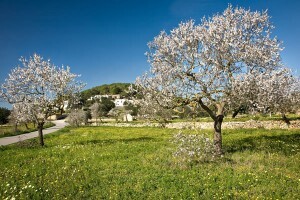 There is a delightful rural atmosphere around the villages throughout the whole island. Sit back and enjoy a nice drink in one of the beautiful cafés with sunshine and 20 degree weather.